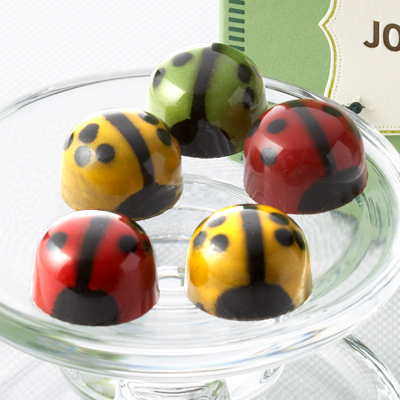 A great Valentine’s Day gift for the little love bug in your life. 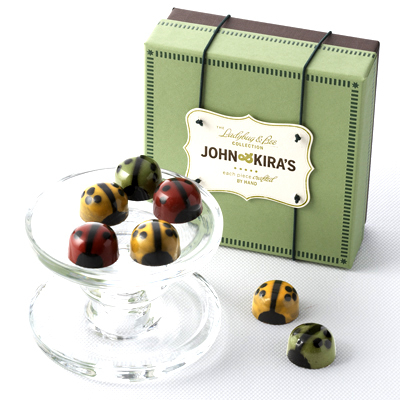 Find them at JohnAndKiras.com. 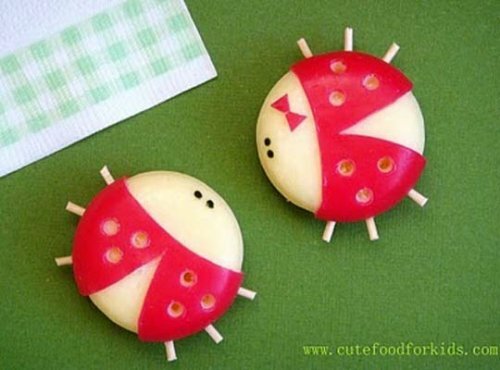 The parent’s blog OhDeeDoh has a fun article with 5 ways to dress up those little waxed Babybel cheeses to make them even cuter. The two above are my faves. Check them all out here. 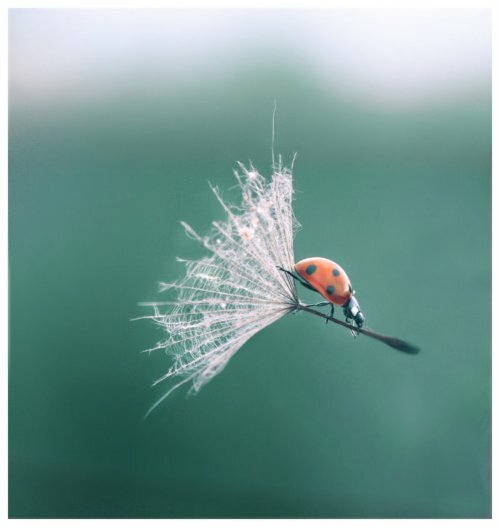 Amazing photo of a ladybug riding a dandelion seed by DeviantArt member Lentilcia. 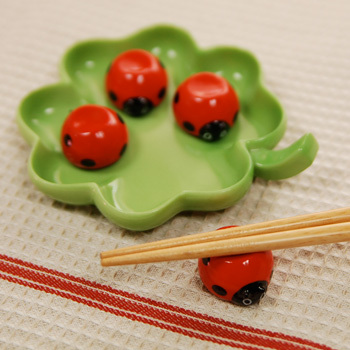 You’ll be looking for excuses to eat every meal with chopsticks if you get your hands on these clover and ladybug chopstick rests. 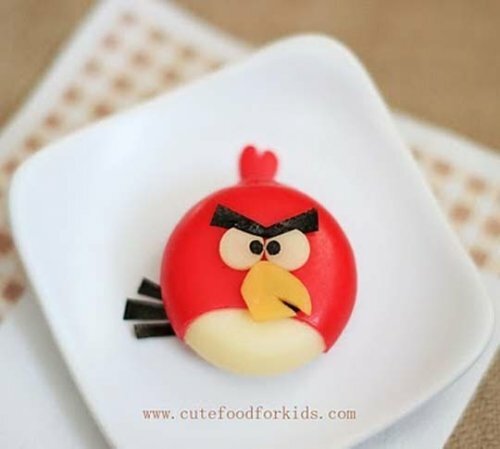 Find it at the Shinzi Katoh online store. On your next trip to the beach, there’s no reason to dress your baby in boring old water shoes anymore. Available in sizes 0-3 mos to 6-12 mos. Find ’em at The Gap.